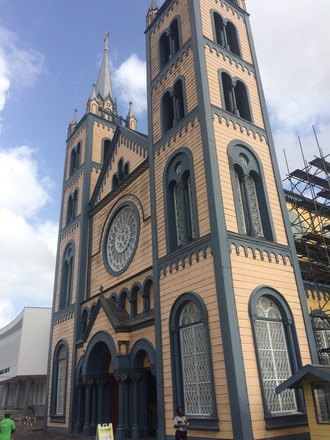 Suriname is one of those strange countries that you know exists but wonder why anyone would visit, other than a dedicated country lister (that’s me). However it has a surprising amount to see and I suspect will emerge on the wildlife circuit sooner rather than later. We flew in from Guyana on a Gum Air Cessna Caravan having secured a visa the day before, as they had changed the rules a week before we got there (not unusual around these parts). A Dutch colony in the past, there is still plenty of evidence in that language and street names, and a huge number of Dutch tourists still come here for holidays. Also, the second largest wooden building in the world, another cathedral. 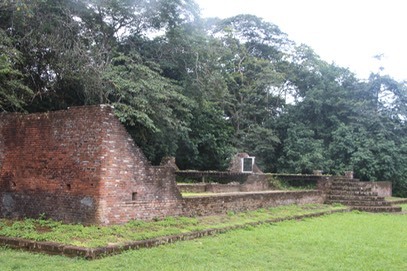 We visited the earliest Jewish settlement in South America. 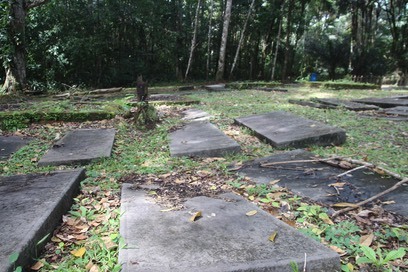 The pictures show the graveyard and the Synagogue.